The topic for photography this week is ‘familiar’. Nice! I have a pair of those, too! .-= Finn´s last blog ..Diptych Twenty: Familiar =-. I used to have those, both pairs. .-= Tragic´s last blog ..Tragic HNT: Take 1 =-. 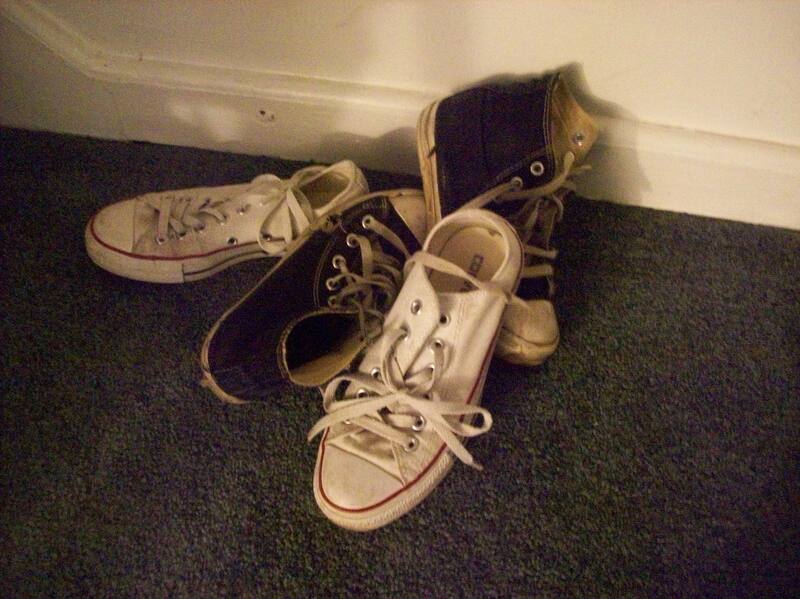 Tragic-I used to wear them ‘back in the day’, but these days I need a more structured shoe. A familiar sight on my blog. .-= Grant´s last blog ..Medical Fun, Part the Latest =-.